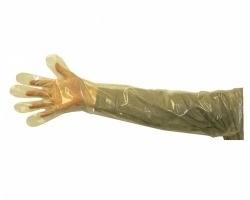 Latex and vinyl gloves for any situation. Workplace safety gloves. 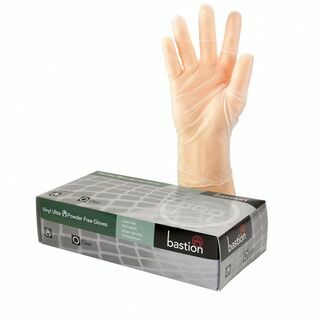 Protect your staff with our extensive range of safety gloves. 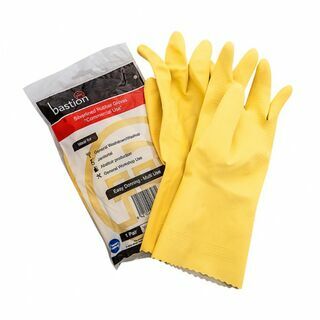 We have PVC gloves, Nitrile Dipped gloves, Leather gloves, Welding gloves, Coated gloves and more. If you are working with chemicals it is important to wear the right PPE gear. Contact us today to discuss your needs. •Non-sterile, ambidextrous gloves made from 100% nitrile rubber that is 5 times stronger than latex and does not contain the latex proteins. •Nitrile is resistant to a wide range of chemicals. •Non slip textured finish for greater grip and beaded cuff for added strength (less likely to tear when donning). 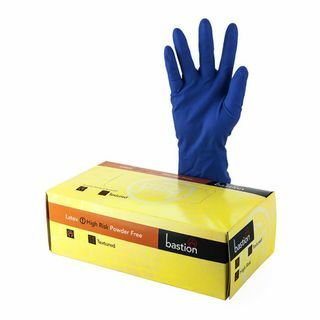 Bastion latex gloves are powderfree and offer great elasticity. 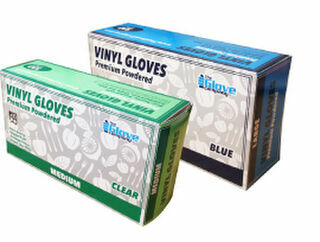 This product is also available to buy as a carton - 1000 gloves - $90.98 Please see link below. 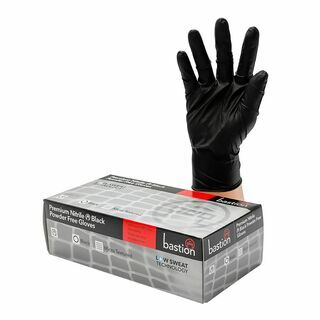 Black Nitrile Powder Free gloves. This product can also be bought as a carton of 1000 gloves. Please follow link below. Beaded Cuff - providing additional strength and preventing liquid roll off. No less than 0.15mm thick on the finger and palm giving them increased puncture resistance and chemical breakthrough time. Superior barrier protection over latex and vinyl. Designed with a fully textured finish to give the user greater sensitivity and further enhance their grip wherever it is needed. Special polymer coating - our gloves are finished with a slip coating on the inside to make the glove easier to don and an advanced grip coating on the outside to maximise their grip even when the glove is wet. Non-allergic as no latex used. Black gloves do not show stains from inks and dyes. Carton 10 x boxes of 100 gloves. 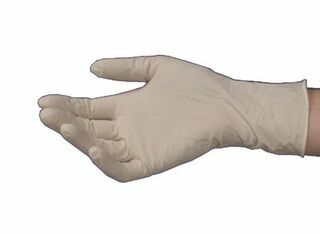 Latex Powder free gloves - Textured - Med-X brand. 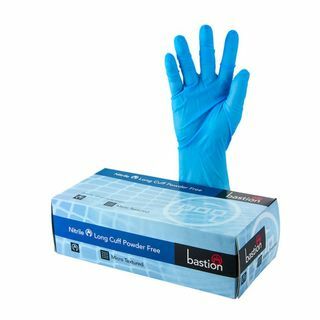 Premium powder free latex examination gloves. 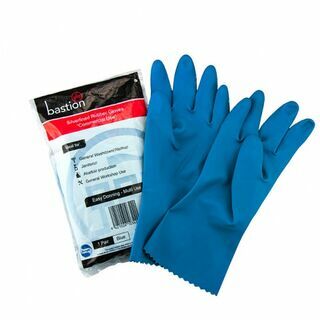 Chemically resistant nitrile gloves, low powder for easy donning, 5 times stronger than latex. •Nitrile is resistant to wide range of chemicals. 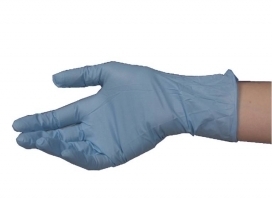 Non-sterile, ambidextrous gloves made from 100% nitrile rubber that is 5 times stronger than latex. Non-slip textured finger tips for greater grip and beaded cuff for added strength (less likely to tear when donning). Black colour hides dirt and looks cool! Contrary to popular belief these gloves are NOT made from Black Dragon Skin. 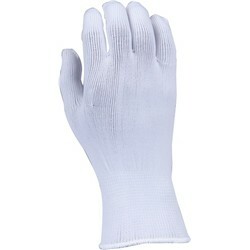 •Clear polyethylene shoulder length glove. •Extra long 83cm length cuff for full arm protection. 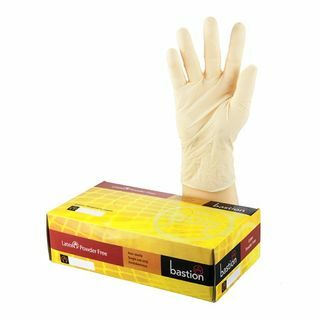 Non-sterile, ambidextrous, vinyl gloves are free of latex protein making them ideal for those with latex protein sensitivity. Low powder for easy donning with a beaded cuff for added strength making them less likely to tear when donning. 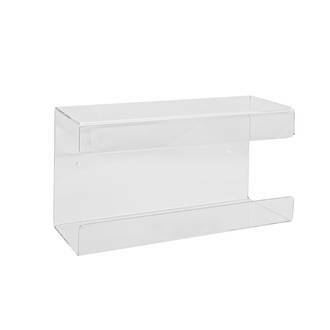 Wall mounted plastic holder for all standard Bastion glove boxes.